No state has a ‘right to exist’. It’s a meaningless concept, states don’t have rights. 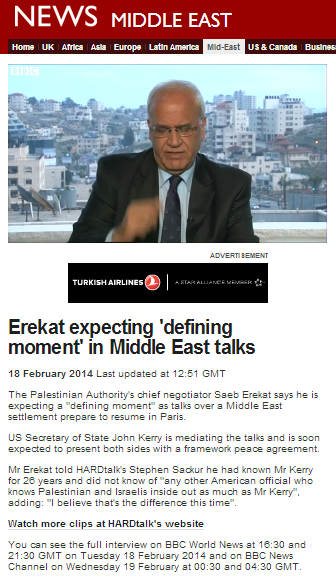 Is Mr Erekat insane? I can’t see how anyone who has the most tenuous grasp of the history of that part of the world can believe that muslims are entitled to anything. All that they possess they have stolen from someone else and in this case from the Jews. I mean, why are we even regarding people like Mr Erekat as people that can be considered as credible partners in negotiations? When I was in the west bank 3 1/2 years ago in 2010, THAT was supposed to be the 10,000 year celebration of Jericho’s founding. The celebration fizzled in a major way… precisely because they forgot to invite their Jewish neighbors. However the nice thing about an archeological celebration of a date that inaccurate is that you can always try again next year, and the year after that…. 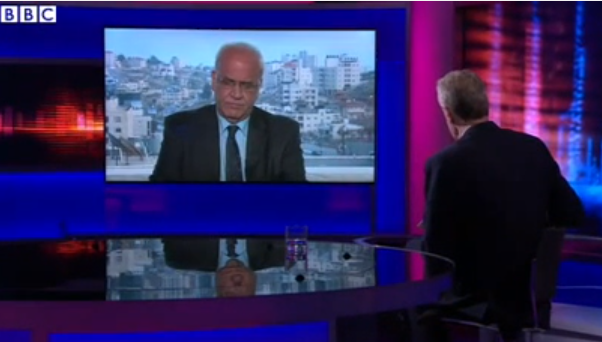 But it does show that Erekat is lying again. It just comes naturally to him. There doesn’t seem to be a revival of Jericho 10,000 in 2014.